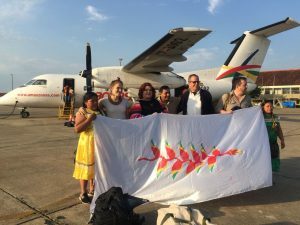 The commission made up of four members of the International Rights of Nature Tribunal, Alberto Acosta (Ecuador), Shannon Biggs (USA), Enrique Viale (Argentina) and Hana Begović (Sweeden) is in Bolivia for an in situ evaluation of TIPNIS (Indigenous Territory and Isiboro-Securé National Park). 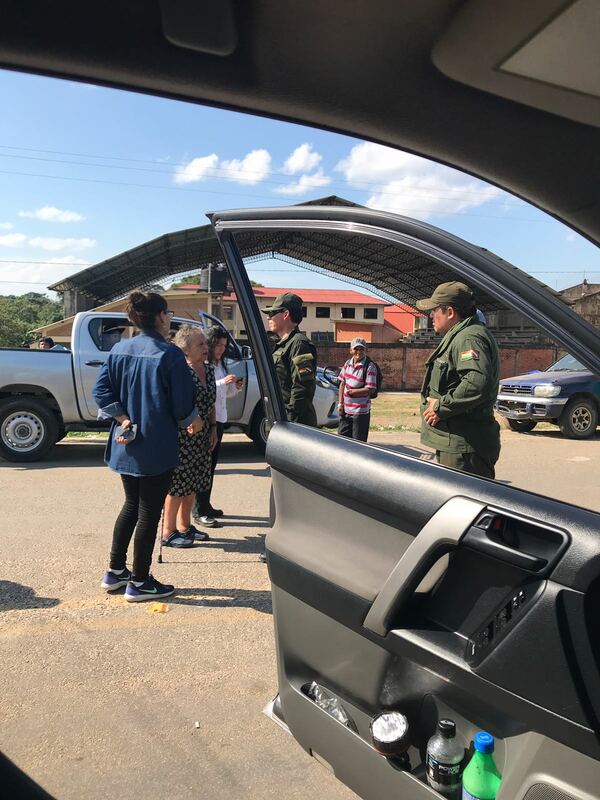 They traveled to Santa Cruz (Forum in NUR University), Beni, Trinidad and Trinidadsito and they tried to enter Polígono 71. 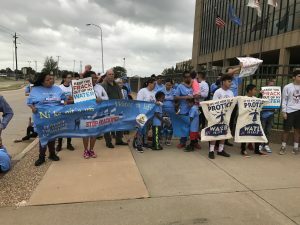 They were accompanied by journalists and members of a delegation of the Human Rights Assembly of Bolivia. 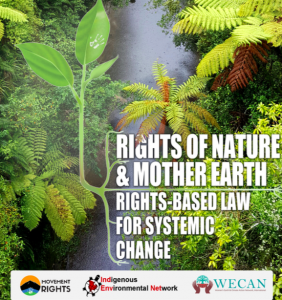 Created in 2013 by the Global Alliance for the Rights of Nature, and also as a result of the II World Conference of Peoples on Climate Change and Defense of Mother Earth held in Tiquipaya, Bolivia 2010, the International Rights of Nature Tribunal has become a world reference that deals with complaints about aggressions to which nature has been subject to. Although their verdicts are non-binding with any State, they manage to evidence and show actions that violate the Rights of Nature, becoming a moral authority that is highly respected in the international context. 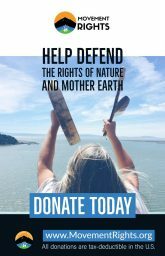 It is made up of academics, activists and indigenous leaders who promote environmental initiatives. The Tribunal is a permanent platform that listens and judges cases from around the world. 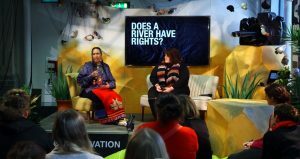 The TIPNIS case was presented by Marqueza Teco Moyoviri of Maleca (Tipnis, Bolivia), Fabián Gil Rocha (Tipnis, Bolivia), Martín Vilela and Fátima Monasterio during the International Tribunal for the Rights of Nature held in Bonn, Germany, on November 8, 2017, at the same time as the Climate Change Negotiations – COP23. 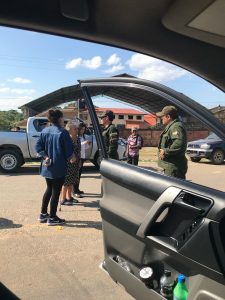 The Commission has held meetings with the representatives of the affected communities that have denounced the violation of their rights and the attacks to which Mother Nature has been exposed to in TIPNIS and other regions of Bolivia. The Commission went to the Polígono 7 section on Sunday, August 19th, to listen to the parties after the invitation of CPITCO (Coordinator of Indigenous Peoples of the Cochabamba Tropics), however, upon their arrival they were detained at the Isinuta bridge, and were not allowed to communicate externally; by a blockade of settlers and coca producing farmers and a union of transporters who are in favor of the construction of a highway that crosses the TIPNIS. They were detained for more than five hours. The Commission was held back without being able to move forward, but also unable to return. “They do not allow us to withdraw, no argument is valid when you want to leave, they say they are waiting for authorities from 10h00, but they will not let us in. 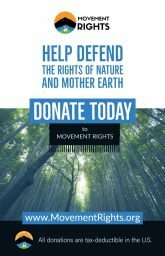 We do not want to force any problem or unpleasant situations for the Bolivian State”, noted Alberto Acosta, member of the International Rights of Nature Tribunal, in an audio broadcast transmitted by Sammy Schwartz through Facebook. Acosta emphasizes that the visit to Polygon 7 was planned in advance and on August 1st , they received an invitation from Mauricio Guaji, president of the Indigenous Council of the South (Conisur), made up of the settlers who produce coca in this area and are in favor of the construction of a highway that crosses the TIPNIS. Finally, and by external pressure, they were liberated and escorted by the police to return, without being able to enter. In recent days the Minister of Government had guaranteed and even offered his help to facilitate the visit of this commission so that they can know the reality of the communities that live in the TIPNIS. “If they want to come, visit, we not only give them guarantees, we can facilitate their visits,” he had told journalists in La Paz. 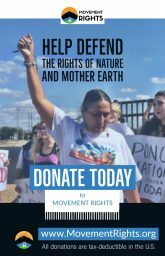 Although the government has not yet confirmed the meeting, on Wednesday, August 8th, the International Rights of Nature Tribunal requested, through the Bolivian embassy in Ecuador, a hearing with President Evo Morales to know his position on the complaint filed for the indigenous peoples around the TIPNIS. It had been suggested that the meeting be held between the 20th and 21st of the present month. The Commission is still waiting for an answer to make this appointment. On Monday, August 20th at 3pm Bolivia time the Commission will give a press conference in La Paz. On Tuesday 21st at 9h00, they will participate in the International Seminar “DE TIQUIPAYA AL TIPNIS: the struggle for the rights of nature”, in the auditorium of the Universidad Mayor de San Andrés. 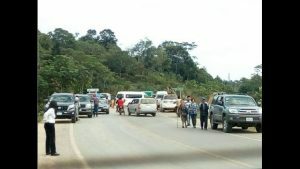 1 Area in the southern part of TIPNIS which has experimented a strong occupation of coca producing colonizers and a great deforestation; it is the area in which the highway will open access through the middle of the Park, connecting the coca producing sections and exploring the oil reserves.